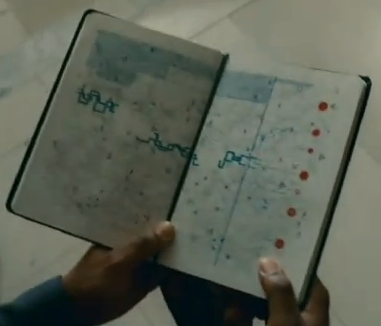 If you blended parts of ‘The Matrix’ with the film ‘Serendipity’ you’d get the The Adjustment Bureau. Imagine if your life was predestined and no matter the supposed choices you make, your path in life is ultimately not really up to you. This is the premise of The Adjustment Bureau (directed by George Nolfi), which was hailed more thought provoking than Inception. It doesn’t even come close. David Norris (Matt Damon), a politician who is losing the election in the Senate race, meets a young woman Elise Sellas (Emily Blunt), in the bathroom at the hotel where he is set to make his concession speech. He loses touch with Elise,but after their bathroom banter she changes his life in more ways than he can possibly imagine. After a chance meeting with Elise some months later Norris happens to step behind the curtain that hides the Wizard of Oz. He becomes privy to the fact that mysterious 1950’s dressed men are in charge of his destiny. He is not supposed to be with Elise and the mysterious men do everything in their power to make sure it stays this way. 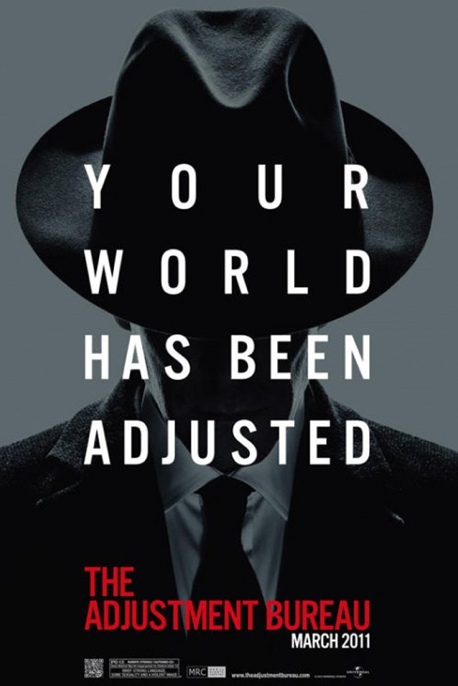 Blending a storyline similar to The Matrix (life as you know it isn’t what it seems to be) with the most of the film Serendipity (our lives are in the hands of fate), The Adjustment Bureau is an elevated tale of romance and fate that dabbles in forces of a higher spiritual power and light science fiction. In the beginning of the film, it was a who’s who of high profile politicians and news anchors playing themselves, in snippets of Norris on his campaign trail. When Norris meets Elise shortly after, the chemistry between Damon and Blunt is palpable. It’s the best onscreen romantic electricity since Brad Pitt and Angelina Jolie in Mr. and Mrs Smith. This chemistry between them helped carry the film, but its downfall was it’s recycled plot and predictability. The film plays heavily upon the question of “Is there such a thing as free will?” and other questions we all think about daily in our lives such as “Do our choices in life really matter?” “Is there a higher power?” and “Can I make my own destiny?” Not only are Norris’ life strings are being pulled by the mystery men and their ‘animated fate books’, but also by Elise. His heart never subsides with the urge to see her again and he does everything in his power to make this happen. He is in constant battle between his chosen path and what drives him most; his love for Elise. Damon is a fantastic actor and plays Norris with ease and Blunt gets better with each film she stars in. Terance Stamp does his best Zod impression as the heavyweight spiritual adjuster Thompson and Anthony Mackie who plays Harry, the adjuster in charge of Norris’ path, is a bit too serious in his role, but all the adjusters have a lack of real emotion. On the whole, the film leaves you with a smile on your face due to its Hollywood ending but on the flipside due to it’s reconstituted theme it leaves you wanting more. 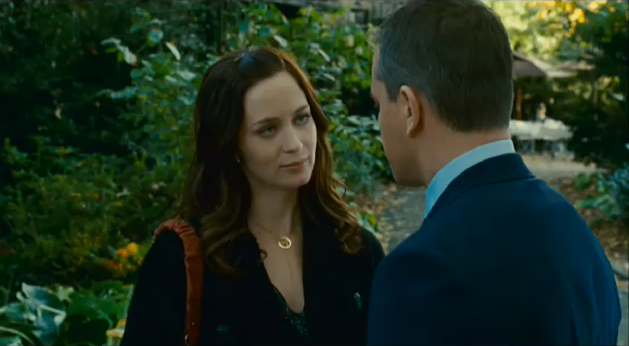 The Adjustment Bureau Official Fate Featurette. **SPOLER ALERT**: Be warned, it gives a lot away.